HOW MANY OF YOU REMEMBER THOSE FIRST E-CIGS? The DSE901, or the Super that was actually smaller than the Mini and had everyone confused? What about the e-liquid? The choice was so limited – tobacco, menthol or cherry, that was pretty much it. And don’t forget the leaking and fiddling and putting fish tank filter in your cartridge, yes, green fish tank filter; we did it. Looking back, e-cigarettes were much simpler then, a cartridge, atomiser, battery and mouthpiece. There was no real choice, it was one size fits all, and they were pretty awful when compared to the devices we have today. The batteries lasted a maximum of about 2 hours and vapers always had three or four spares jangling around in pockets or bags. Back then, it was a case of simply screwing together and off you go, the cartridges were in cardboard boxes and the instruction leaflets – Chinglish at its very best! Looking over the forums from 2008 reminds us that e-cigarettes were not great, they were simple and at the very start of the e-cigarette evolutionary tale that we hoped would continue. It is incredible to think that people stuck with them, but they did, and gradually they improved, we got cartomizers, tanks, jazzy cases and oh those lanyards! When the Tornado came out, well it was virtual space age technology to us. 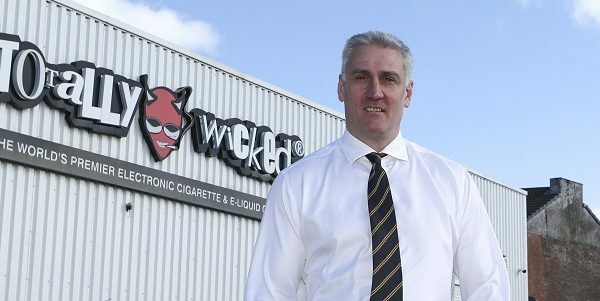 From those beginnings, when the market was new, and TW was nothing but a few shelves, we knew we were onto something incredible, because even back then, e-cigarettes were changing peoples lives.